It hasn’t been the easiest of years for Lower Saucon author Larry Deibert. 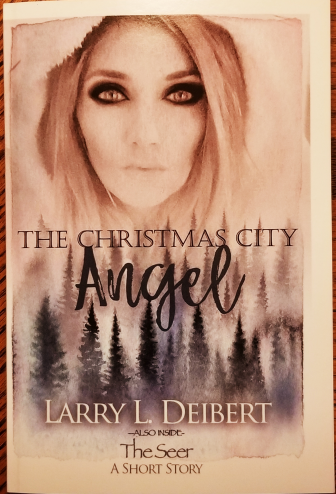 Being a self-published author is never particularly easy, but Deibert has faced additional challenges recently, including his recuperation from an injury that left him partially housebound when he normally would have been out promoting his latest release, The Christmas City Angel. The Christmas City Angel is the latest book by Lower Saucon author Larry Deibert. Many of Deibert’s books fall into and sometimes overlap the fantasy, supernatural and inspirational genres. Deibert–who’s authored nearly a dozen books–had to cancel his scheduled appearance at Saucon Harvest Fest in Hellertown in October after he suffered a serious ankle fracture. Subsequent plans were also impacted. The good news is that Deibert is getting back on his feet just in time for the holidays–and with a Christmas-themed book to promote he’s eager to make the most of his mobility while shoppers are in the mood to buy something uniquely local. Another challenge, however, is that the independent bookstores that have hosted him in the past aren’t as plentiful as they used to be. “There just isn’t much out there anymore,” Deibert said, with reference to bookstores, and particularly independent booksellers. 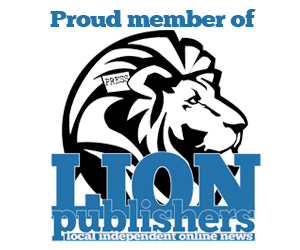 He added that he wishes Hellertown had an independent bookstore, and that he has thought about organizing a local book festival that would help authors promote their works. Deibert said the Clinton Book Shop in Clinton, N.J., where he’s participated in book-signings in the past, recently closed. The owner hopes to open a new store in Allentown, Pa.
After the Moravian Book Shop changed hands earlier this year Deibert said he was unsure about whether he would still be able to participate in book-signings there. Fortunately, he now has two signings scheduled at America’s oldest bookstore. On Thursday, Dec. 13, Deibert will be at the Moravian Book Shop in downtown Bethlehem from 1 to 3 p.m. He will be there again on Saturday, Dec. 22 from 5 to 7 p.m., so if you’re planning some last-minute shopping in the Christmas City, or just want to meet him, be sure to stop in. Saturday, Dec. 15, noon to 5 p.m. at Sleepy Cat Urban Winery, 1840 W. Allen St., Allentown, Pa. Deibert will be joined by four other authors at this event. Monday, Dec. 17, 5 to 8 p.m. at Antietam Valley Farmers and Artists Market, 905 Byram St., Pennside, Pa.
Deibert’s newest book, The Christmas City Angel, is an inspirational fantasy story about an angel sent by God to give several people special gifts. The book opens with fictional local news reporter Russell Gallagher window-shopping and looking for a story on Main Street in Bethlehem. Gallagher bumps into a woman there and believes the ceramic Nativity figurine he’s just purchased for his paraplegic wife is broken, after it falls on the sidewalk and shatters into pieces. However, the woman, Victoria Christmas, is actually an angel, and he discovers that his gift isn’t broken. Gallagher goes on to realize that Victoria Christmas and other angels are healing and changing lives in remarkable ways. 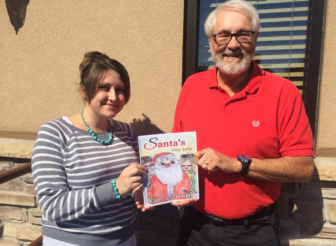 Another Christmas-themed book Deibert has authored is the children’s book Santa’s Day Jobs (2016), which features illustrations by Center Valley artist Ashley Reigle. Deibert said his next work of fiction will be a murder-mystery, which he was inspired to write after meeting a “mysterious” woman while visiting the beach with his wife, Peggy. That book he hopes to complete by the end of the year. For more information about Larry Deibert and his works, visit his Facebook author page. His works are also available on Kindle on Amazon.